God created and lent to us an angel for a short period of time. Our Angel brought joy, support and life to so many of us. We can all agree that she will be truly missed. Angel was a giver of life. She leaves us with all of her beautiful children to cherish her memories. It's our job to make Angel proud. It takes a village to continue to raise, support and love the children. We need your support. All donations will be in the hands of the children to take care of their needs. We know we can count on our family and friends for support, prayers and donations. We all loved Angel, but God loved her more. Rest In Heaven. Thank you to everyone that donated. We truly appreciate the love and support from everybody. The donations will help the girls on their new paths. So far they are enjoying Texas and made new friends at school. It was great to see the people whose life was touched by coming into contact with our mother. She will truly be missed, especially since we are inching closer to Mother's Day. It is never easy to say good-bye. So, "See you later alligator," will have to do. The best part is knowing that our mother/sister/friend is watching over us in a better place. Family and friends on behalf of the family, we want to say thank you. Your support, prayers and donations has really blessed us all. 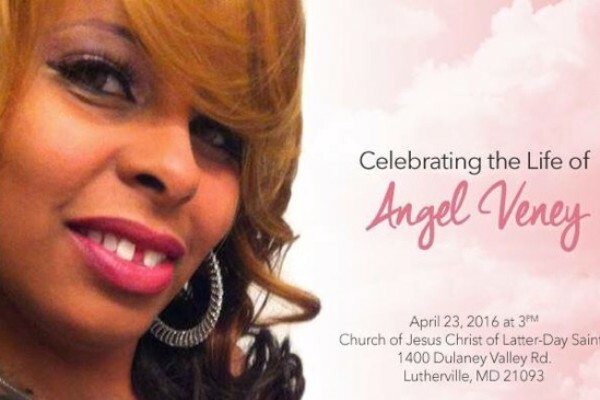 On behalf of Angel's family, Jasmine Evans (daughter) want to thank you all for your support. Jasmine is in charge of conducting all financial obligations for Angel's home going service. Thank you again for your love, support and donations. Deeply saddened to hear the news about your mother. You and your family are in my thoughts. I never met Angel, I give this because of her service to the national office of Alpha Phi Alpha Fraternity, Inc. May God keep her family and friends during this very difficult period.